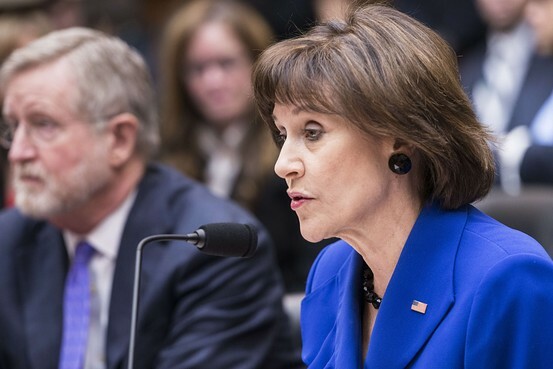 A lawyer representing former Internal Revenue Service official Lois Lerner is requesting a chance to plead her case against a planned House vote to hold her in contempt of Congress. On Friday, Majority Leader Eric Cantor said in a memo to members that the House of Representatives would vote in May to hold Ms. Lerner in contempt of Congress over her refusal to testify before a congressional committee about IRS targeting of conservative groups. Ms. Lerner headed the division that handled the groups’ applications for tax-exempt status, and is at the center of congressional investigations. Ms. Lerner has twice declined to testify before the House Oversight and Government Reform Committee, citing her Fifth Amendment privilege against self-incrimination. GOP lawmakers argue that she waived her privilege by making a statement at the first hearing, professing her innocence of any wrongdoing. They were further angered when it became known that Ms. Lerner gave a lengthy interview to the Justice Department about the matter. The committee approved a contempt resolution concerning Ms. Lerner earlier this month. He cited legal precedents – including some from the McCarthy era, when Congress went after alleged communists – to show that courts have refused to uphold contempt-of-Congress citations against witnesses who decline to testify, citing their Fifth Amendment privilege. “Ms. Lerner cannot be prosecuted for respectfully asserting her privilege under these circumstances,” Mr. Taylor wrote. “No court will hold that she waived her privilege.” Mr. Taylor also argues that the House has used faulty procedures so far in its effort to hold Ms. Lerner in contempt. He requested “an opportunity to present to the House the reasons why it should not hold Ms. Lerner in contempt.